In his letter to Red, played by Morgan Freeman, Dufresne punctuated that sentiment, writing, “And no good thing ever dies.” The quote is boldly exemplified by fan love for the cable TV movie fixture, which IMDB lists as the No. 1 movie of all time. 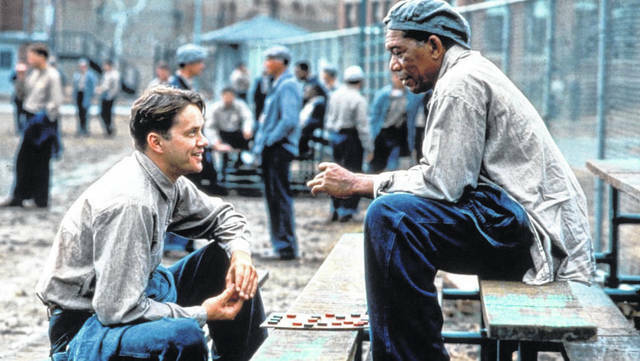 This year marks the 25th anniversary of “The Shawshank Redemption,” which generations of movie buffs have adored since its 1994 release after being shot in its entirety in and around Mansfield, Ohio. This August 16-18, travelers are encouraged to join cast members and other Shawshank die-hards in Mansfield to immerse themselves in the film’s iconic characters, sets and history. On Friday night, Aug. 16, the film will be shown at the historic Renaissance Theatre, where the movie premiered in 1994. On Saturday afternoon, actors will be available for autographs at the Ohio State Reformatory, followed by The Exclusive Shawshank Reception cocktail party. The 5th annual Shawshank Hustle 7k family fun race also takes place on Saturday. This race features a route with filming sites, T-shirt, custom medal, food, music and more. Registration for the race is open today. Some events will require tickets, and special anniversary souvenirs will be available for purchase to commemorate the exciting anniversary. A destination unlike any other, Mansfield is home to a wealth of unusual travel adventures and experiences, such as visiting the working farm where Humphrey Bogart and Lauren Bacall were married, Mid-Ohio Sports Car Course, Kingwood Center Gardens, BibleWalk, breathtaking scenery, rural and hometown experiences. Hiking, biking, golf, cross-country and downhill skiing, bird watching and loads of other outdoor adventures attract travelers of all ages. Complete visitor information is available at DestinationMansfield.com or 800-642-8282.